Right, the first ever recipe on this blog! Phew, the pressure is on folks! Seriously, it’s like choosing what to wear back on the first day at school, it will set the tone for the rest of your life (or so you think, but then you realize highschool was just highschool, and no one really cared). But, first impressions count! 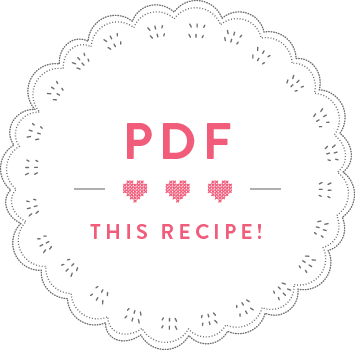 So, what to choose as my first blog recipe? Something nice. Something yummy. And something pretty. The problem is everything fits into that category!! So, Friday at work I was daydreaming… In my mind I was back home, in Luxembourg, with the feeling of being little and coming home from school and really not feeling like doing any homework. It kinda felt like autumn in that memory, and a freshly baked apple cake was standing on the kitchen table. You know, one of those really amazing apple cakes that my mum makes, one that’s got whole half apples on top of a buttery cake base, glazed with apricot jam and almonds. Oh yuuuuuum. I loved those days! And suddenly it hit me. That’s what I want my blog to feel like. It should feel like home. And so should my first recipe! The recipe is a mix-and-match one, inspired from various sources. I used my mum’s divine recipe for sweet shortcrust pastry as the base. 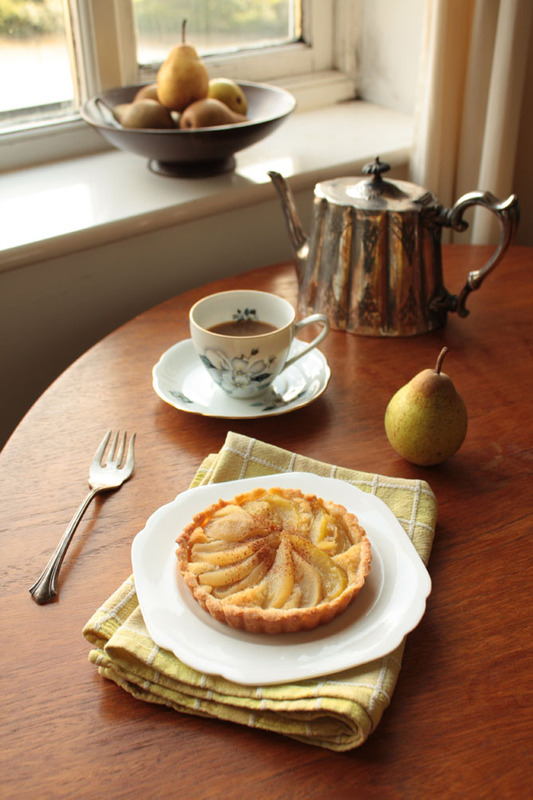 For the frangipane, I did some good old googling and found this version by Angela Hartnett. I just added some cinnamon, since I love cinnamon in almost everything! 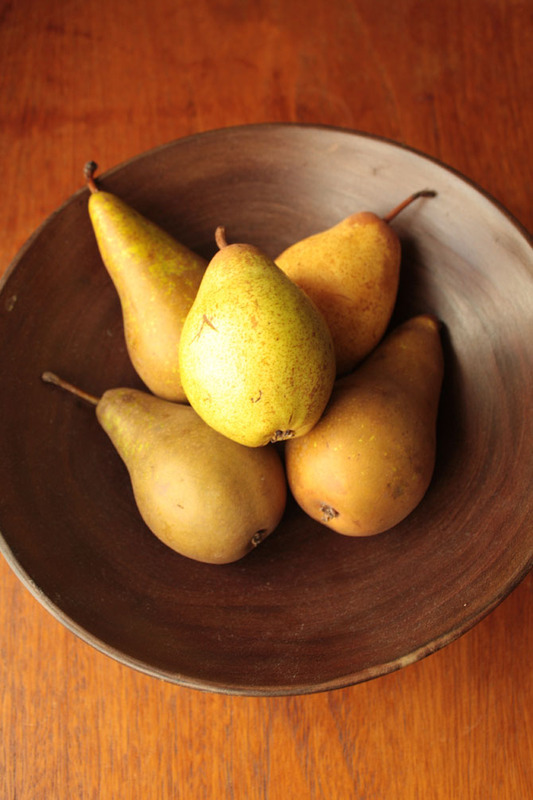 As for the pears, I decided to poach them in some white port wine and star anise. Yum! Anyway, enough rambling about tea-pots, I know you’re dying to get to the recipe! Prepare the pastry: Cut the butter into little cubes, add the sugar, egg and flour and mix together with an electric whisk until it looks ike breadcrumbs. Now, knead this into one nice dough ball – but be quick since the dough isn’t supposed to become warm at any point. The dough will be quite crumbly, don’t worry about that, if you press it hard enough it should stick together. If it doesn’t stick at all, add a dash (but really only a dash) of water, and that should do the trick. Wrap the dough ball in cling film and refrigerate for 2 hours. Make the frangipane: Cream the butter and sugar together until light and fluffy, beat in the egg, cinnamon, flour and almonds. Chill until needed. Cut the dough into 5 portions, roll each out on a floured surface and put the flattened dough into your buttered tartelette cases. Top with a generous amount of frangipane. Cut each pear into a fan-shape, by starting at the wide base, cutting up to the beginning of the pointy tip, but not all the way, so that the base holds the fan into shape. 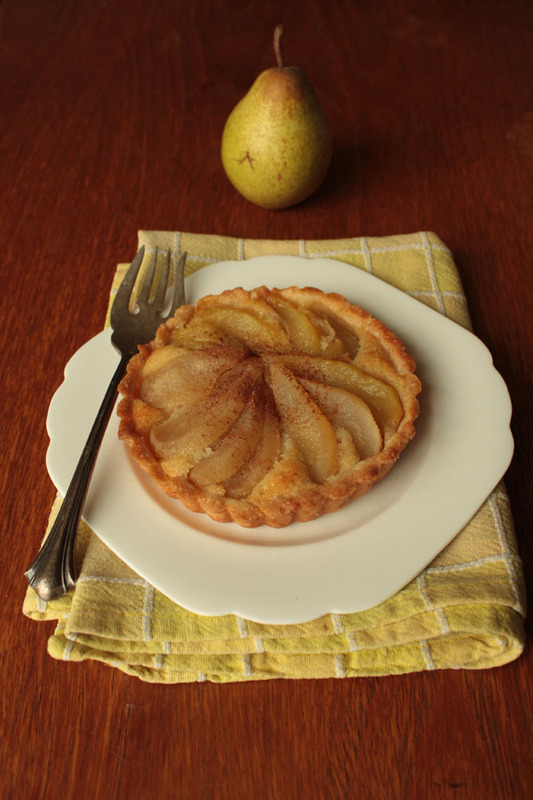 You can then lay out the two pear halves in a fan shape on the dough, so that they reach full circle. Don’t worry if it doesn’t work, I had trouble with some of the larger pears that were simply to big and ended up overlaying each other. Nothing to be anxious about, any shape will be nice and look all the more rustic! 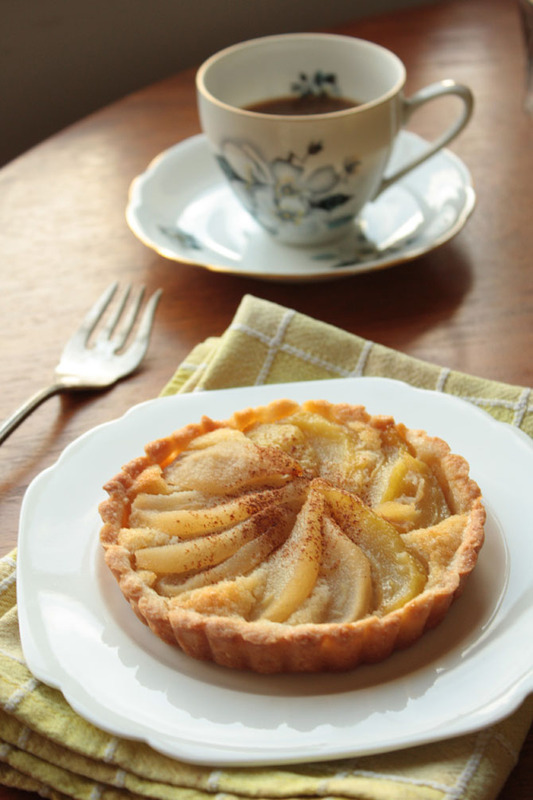 I’ve just been treated to one of those pear tartlets – devine! I was lucky to sample one too, I agree delicious! Just made the tartelettes, they taste amazing! I just came across your blog and I am loving it. Your photos are really fantastic and you have lots of great recipes! The pictures, the recipe superb.I’m in France and I’ve to impress my french inlaws with a desert for my Spanish cousins christening 60 of them.I hope this comes off! Oh Mac, I hope your inlaws will like the tart! Let me know how it went! The tartlets were received very well,I’ve been invited to Pamplona off the back of it! It’s not often an English man can produce desert that is liked by the French and Spanish!